NOTE: This content is old - Published: Thursday, May 19th, 2011. Here at Wrexham.com we are pretty confident we broke the ‘man with horse’ story via our twitter account to the wider world. 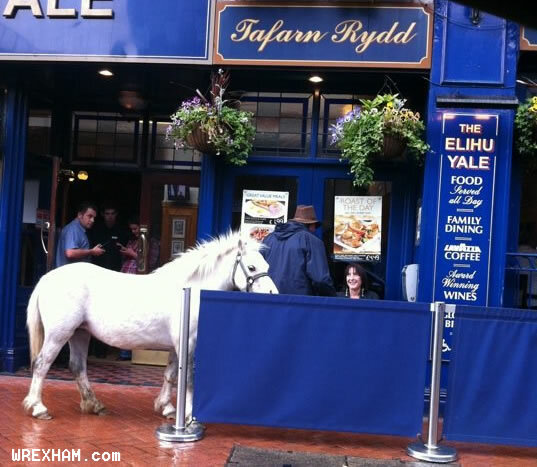 It would be remiss not to have a picture of this on Wrexham.com, but also some of the better jokes we have found. 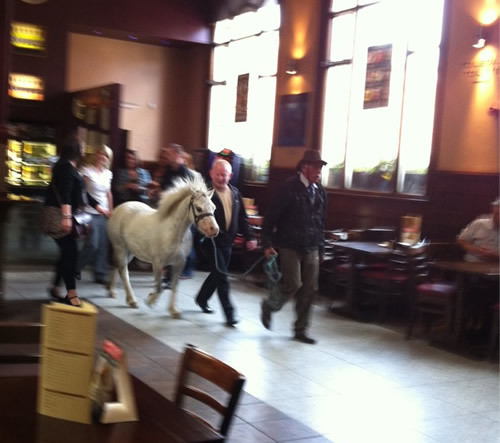 Here is the horse in Wetherspoons in town, looking for a quick pint of course! From here he was seen trying to get into Last Orders, The Royal Oak, the hospital and of course now famously the station! 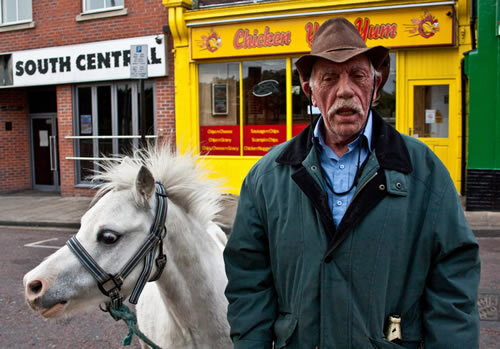 He must have been on a proper trek as he was also spotted going past B&Q, and the day before the horse was tied to a lamppost in New Broughton. So what is the moral of the story? 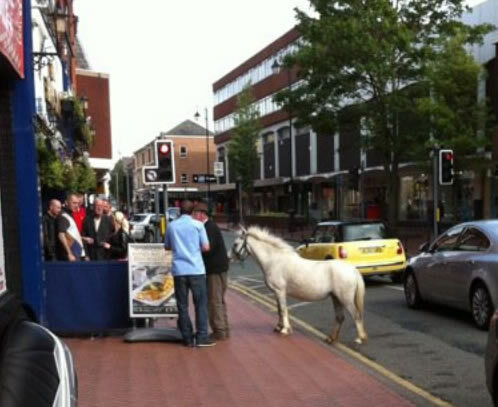 Pubs in town dont accept horses, the reason Wrexham & Shropshire went bust was they didnt offer tickets to animals, oh and follow our twitter account to find out the stories that will be going world wide before anyone else! Know the man? get in touch to news @ wrexham.com !